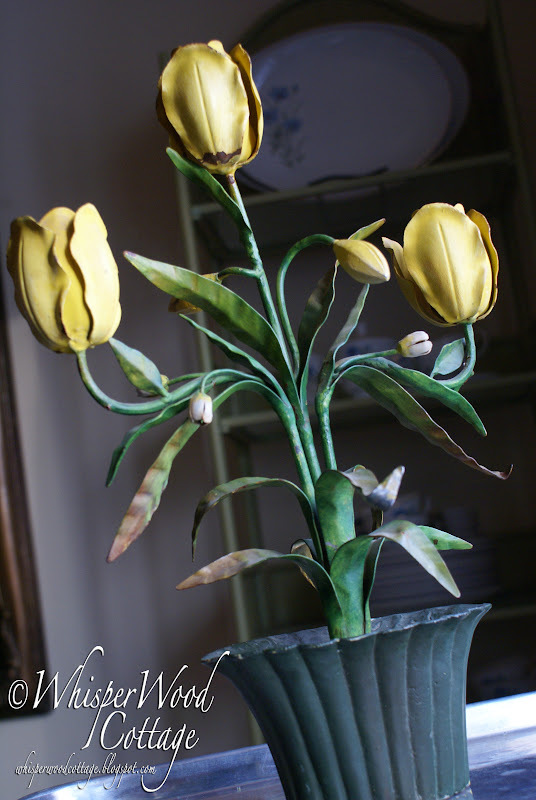 WhisperWood Cottage: Nothing Says "I Love You" Like Tole Tulips! Nothing Says "I Love You" Like Tole Tulips! I ordered it from Jenny. He asked, "What's in the box?" I said, "It's a surprise." After opening the box a bit later, I said, "Hey, Honey, look what you got me for Valentine's Day!" He said, "So, does that mean I don't have to get you anything else then?" I said, "Nope, this is it." I'm happy, he's happy. Now that's true love, folks!! Isn't he just wonderful? hehehe I'm glad you got what you wanted! I really like them displayed in that birdcage... very unique. Love the flowers!! They look amazing! Looooove them! They look fabulous in the birdcage. Wow he's good. And he didn't even realize just how good! You displayed them in a mighty fab way too. You really made the flowers come to life displaying them in a bird cage. Lovely, you knew just what to do with them to make it special! 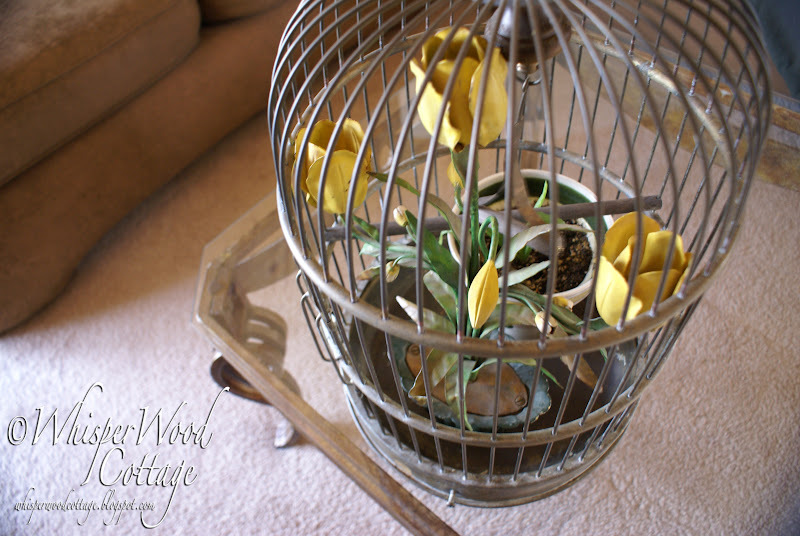 Those are wonderful flowers, and the birdcage makes them so sweet. That cracks me up-I'm so glad that the hubby and me aren't the only couple who buys their own presents! They look great! Sorry to be so late but I slept in this morning. I had waaaayyy too much fun last night at Deb's party! I had to google "tole." I learn so much from you ladies! I agree it looks good in the cage. Hey Amy! Just stopping by to wish you a very belated Valentine's Day. I hope your weekend was filled with lots of sugary blessings. 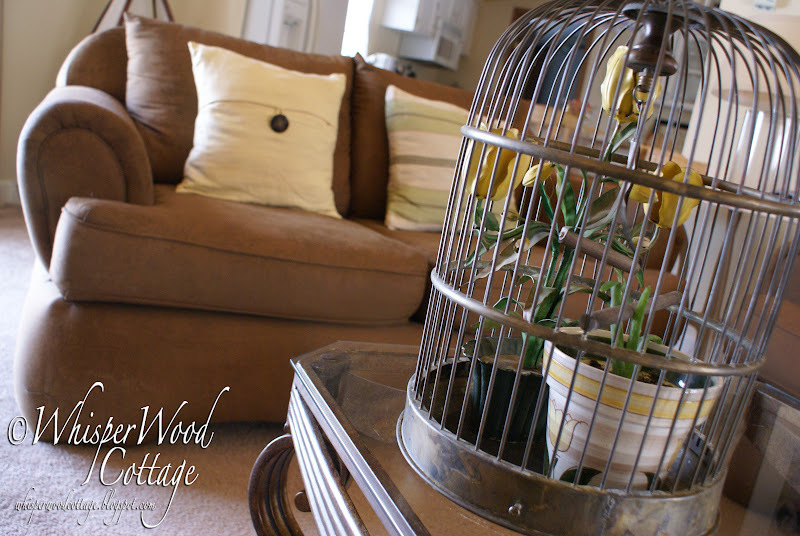 I love your new tole flower and how you displayed it in the birdcage. That's gorgeous. Metal flowers are the best! No watering! No weeding! No allergies! Love them in the birdcage! You are getting such a cool collection of tole flowers. Okay, that's just cool. You are way more creative than I am. So cute! I love the way you have it displayed. Perfect! After almost 17 years of marriage, I've decided that's the way to go for gift-giving. I'm not disappointed, he's not frustrated.